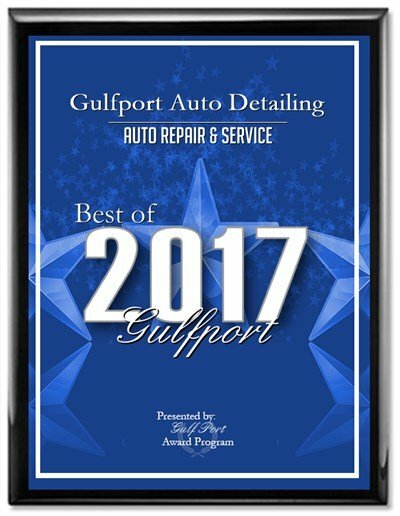 Gulfport Auto Detailing for over 36 years! detailers. We provide full service in shop detailing so we can give you the best experience and workmanship available. 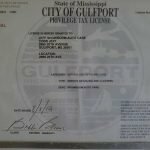 Gulfport auto detailing is fully licensed and insured. 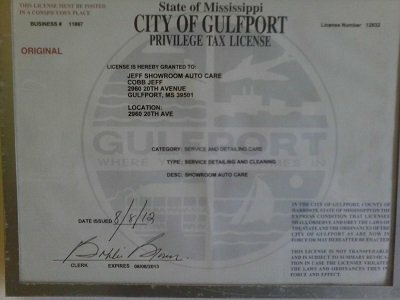 When we work on your vehicle you can rest assured that Gulfport Auto Detailing is fully licensed and insured to handle your car properly and without incident. We take each vehicle on an individual basis and discuss the needs and expectations with the customer. 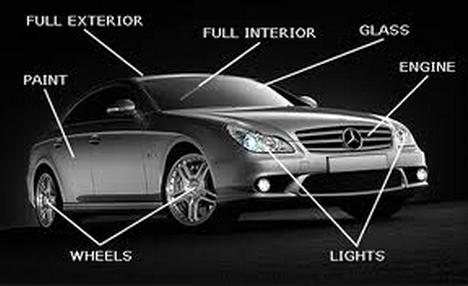 We treat each vehicle as if it were our own in order to please even the most particular individual. Our prices are very competitive and our quality is unsurpassed. 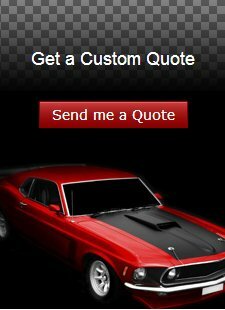 Feel free to give us a call and schedule your appointment today or fill in the Quick Quote form on the right!